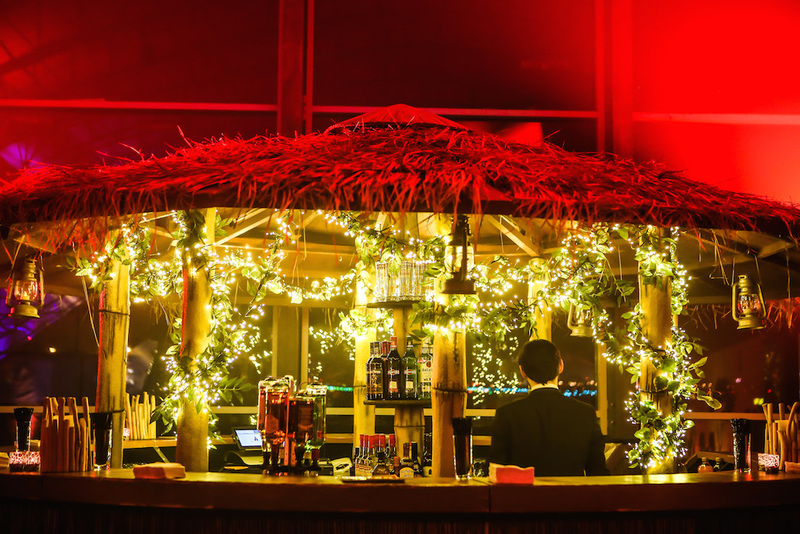 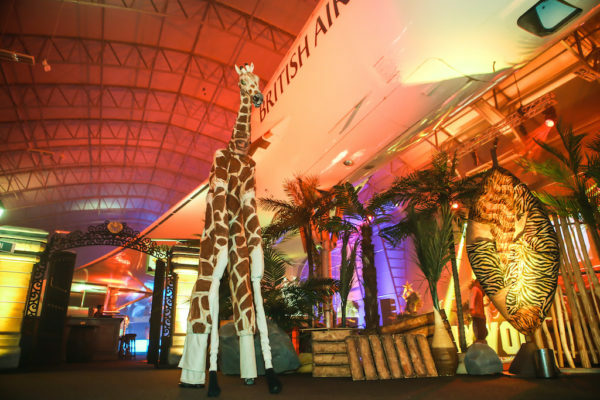 After a profitable year, the company wanted to say thank you to 500 cabin crew for all their hard work throughout the year with a no-expense spared party. This also provided the opportunity to showcase their new routes from Manchester to Boston and Los Angeles in the USA, and Capetown in South Africa. 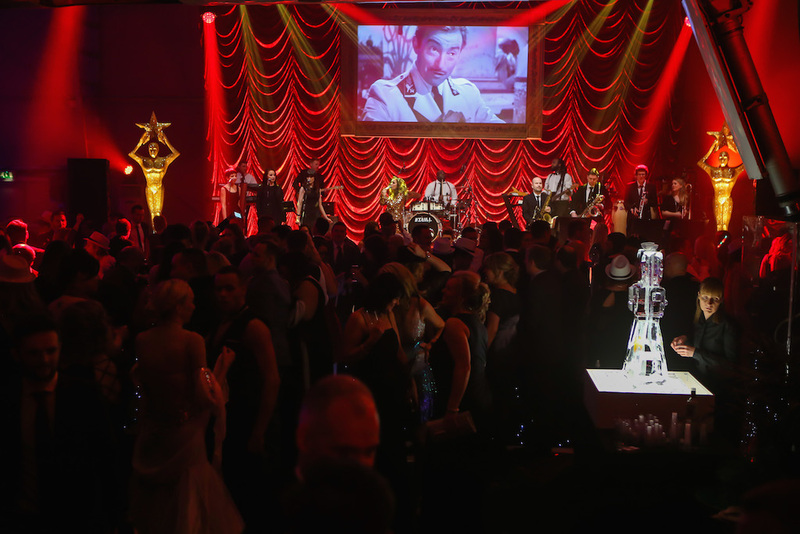 This was a fantastic event theme to work with and we let our imagination run wild. 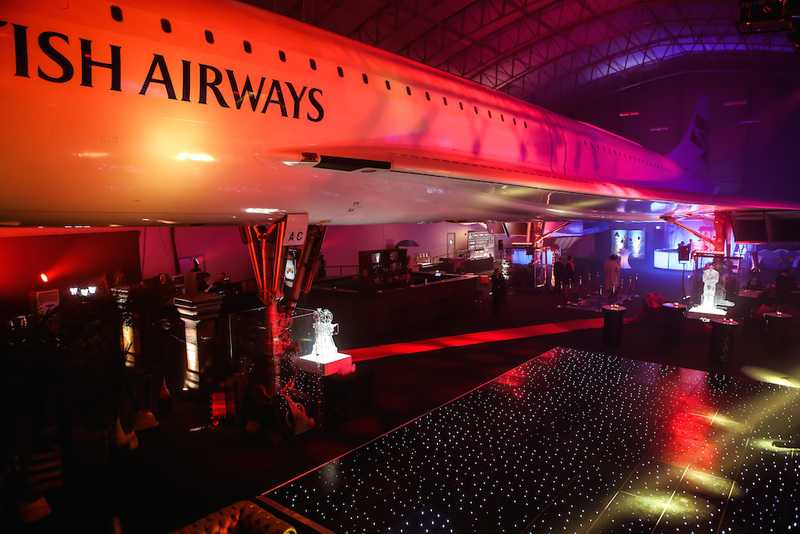 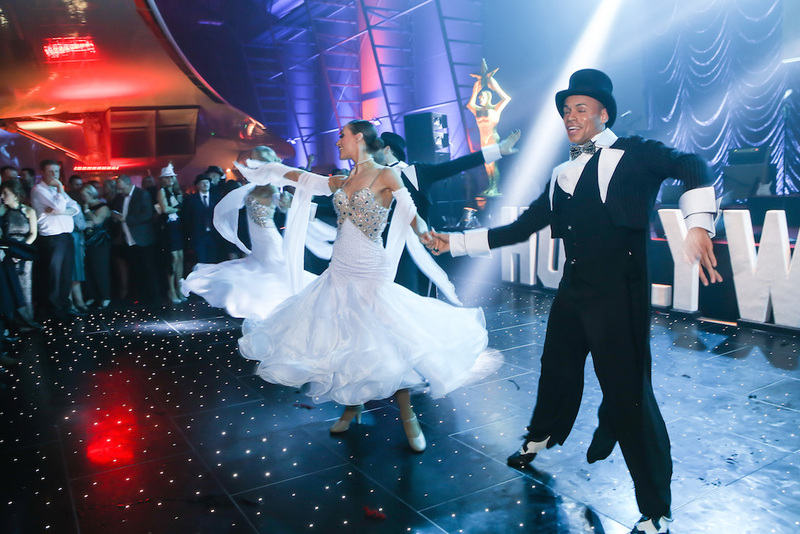 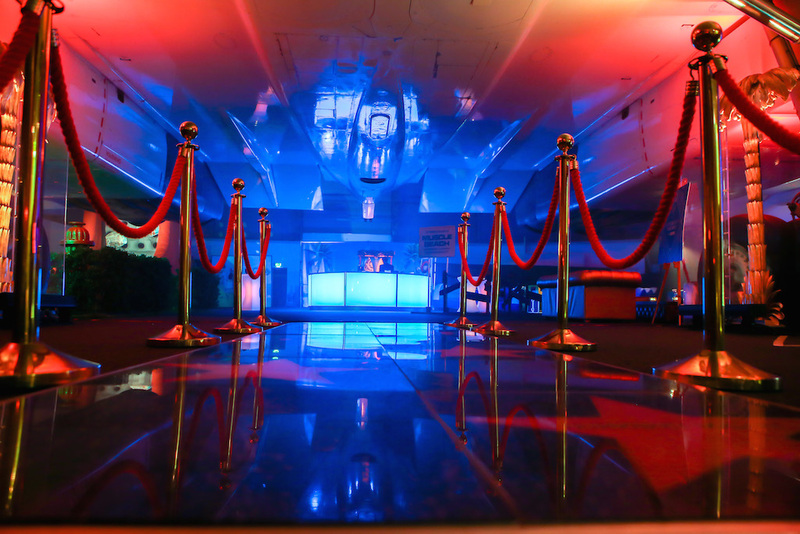 We chose to hold the party at the Concorde hangar at Manchester Airport – it comfortably caters for 500 guests and with the iconic plane as its centrepiece, provides a dramatic backdrop for travel themed events. On arrival, guests were transported to the African veld with experiences designed to stimulate all the senses. 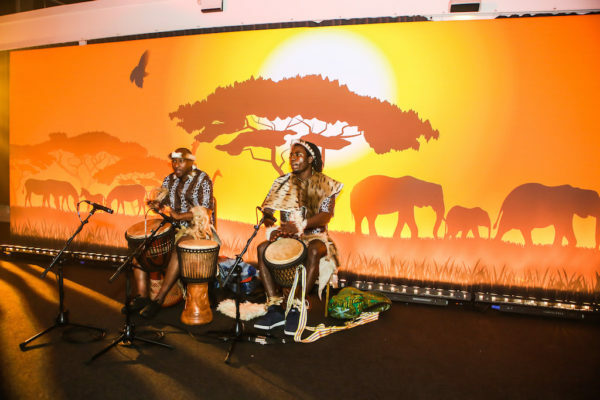 African drummers built the excitement whilst giraffe stiltwalkers and body painted entertainers dressed as lions and zebras mingled with the guests against a sunset backdrop. 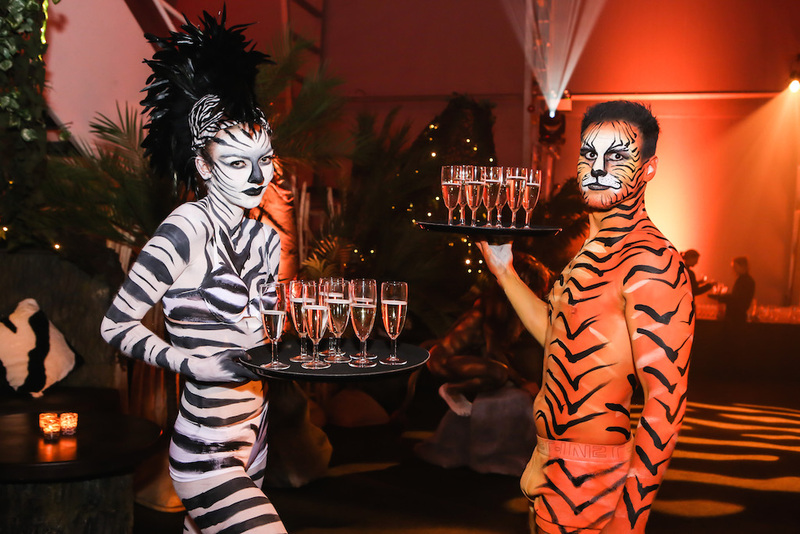 Reception champagne with African themed canapes got everyone’s tastebuds tingling. 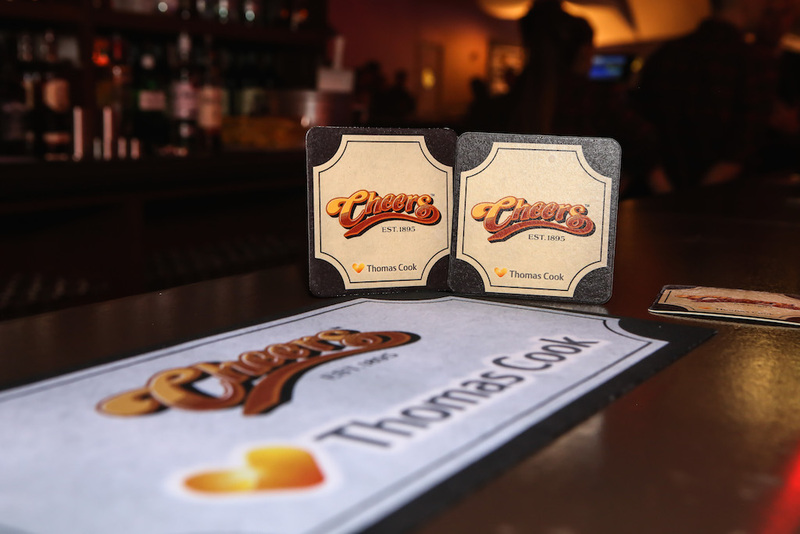 Guests then entered the main space, walking through Boston style park gates to a Cheers themed bar complete with Red Sox breakdance performers and cheerleaders. 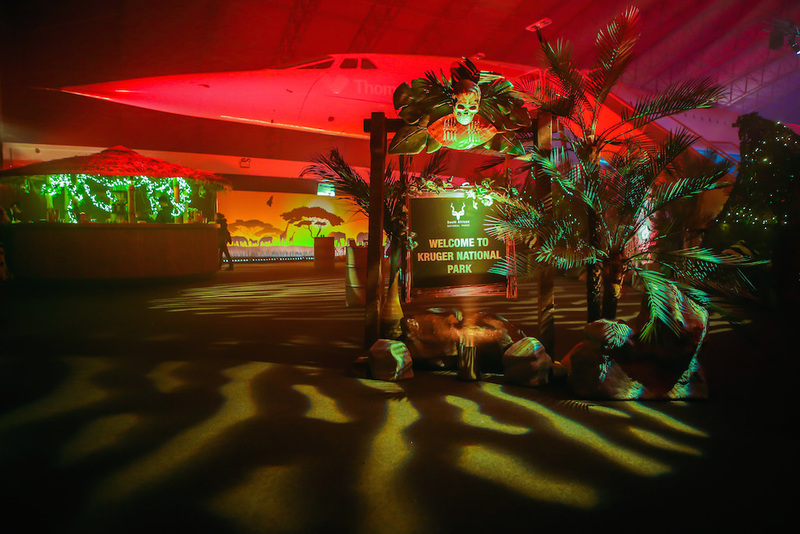 The journey continued to Los Angeles with interactive beach surfing games, a LED Muscle Beach bar and Baywatch entertainers. 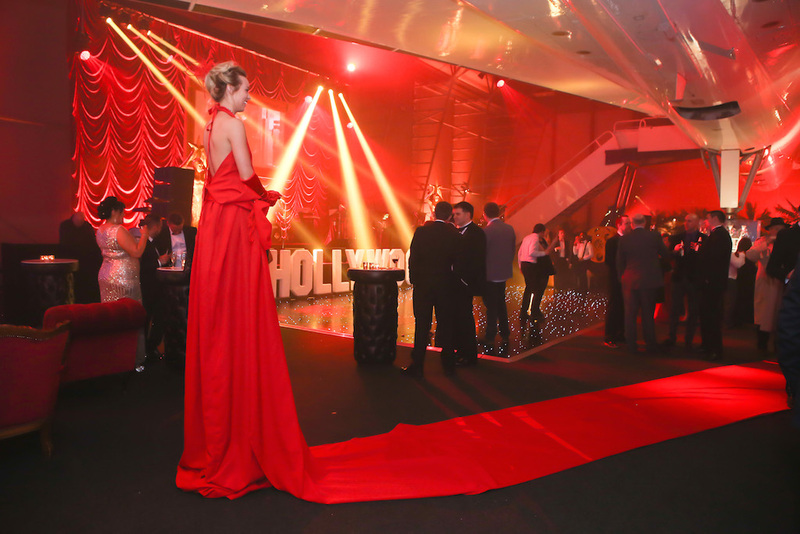 No trip to Los Angeles is complete without a taste of Hollywood glamour so this was our theme for the red curtain draped stage set and LED dancefloor. 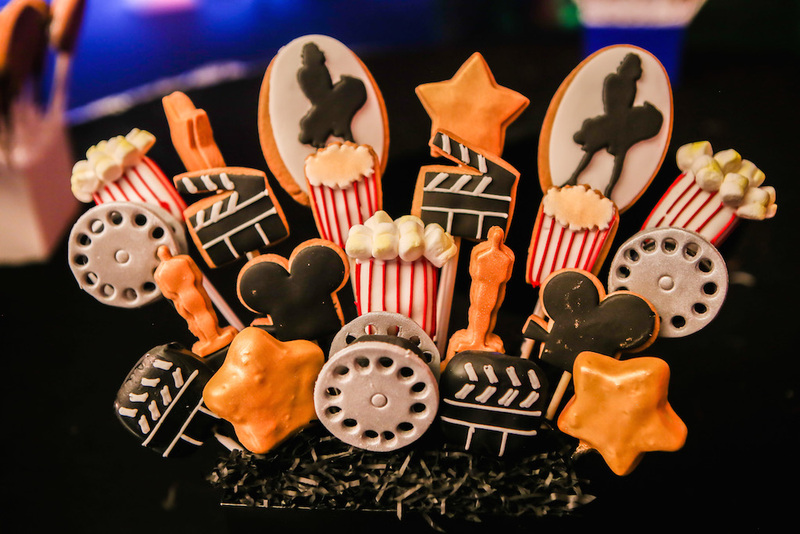 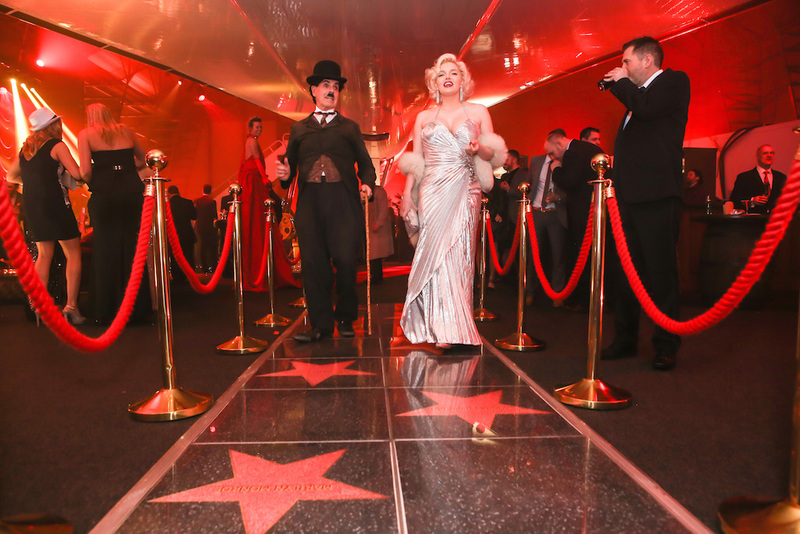 Guests did double takes as Marilyn Monroe, Charlie Chaplin and Angelina Jolie strolled past and entertainment came from a 13 piece band, a DJ and dancers performing Bonnie and Clyde routines. 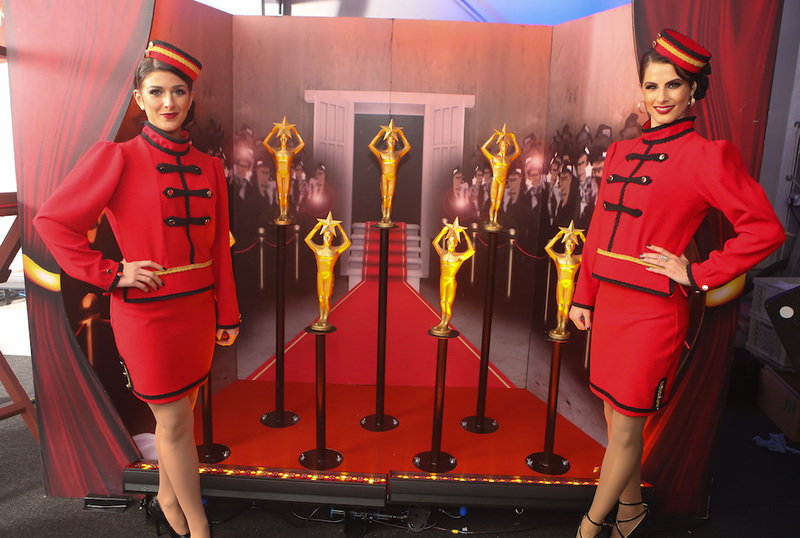 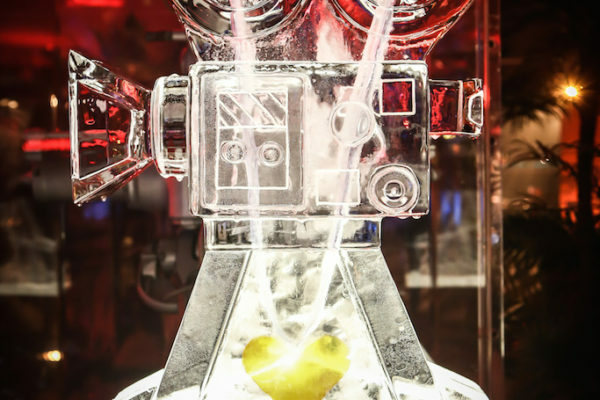 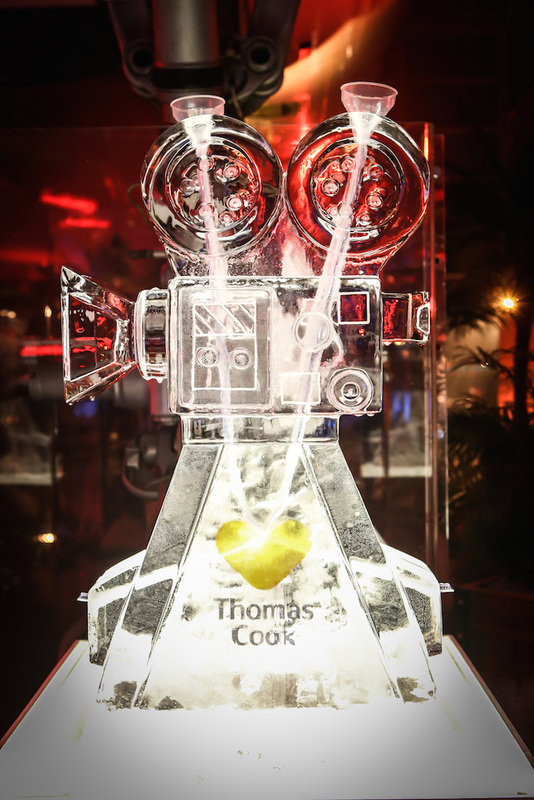 Although the event theme focused on the destinations, we still made sure the Thomas Cook logo was cleverly incorporated into the set design, soft furnishings, ice sculptures and through projections onto Concorde itself. 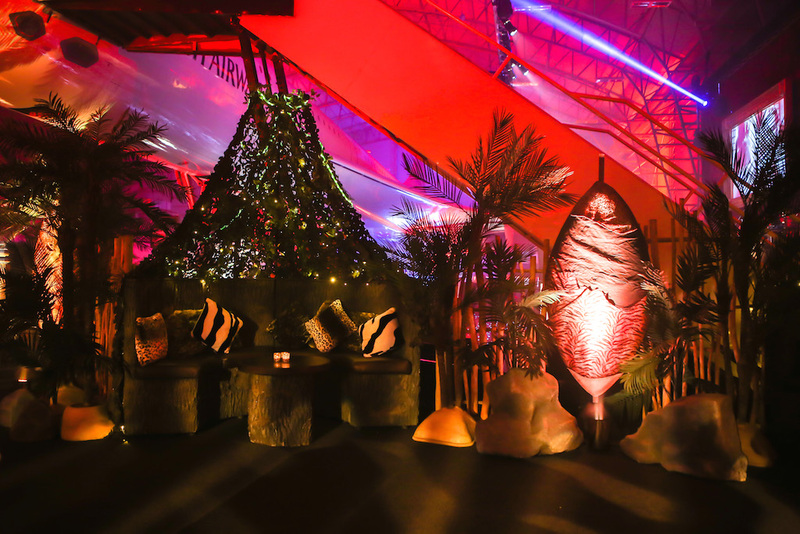 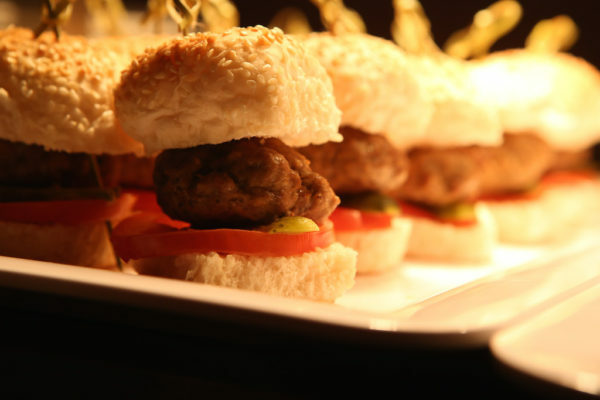 Thomas Cook felt that Make Events had exceeded all their expectations of the event. 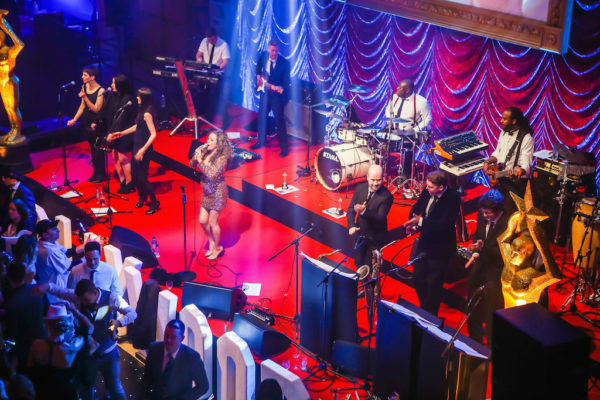 It was not only the party on the night which was a phenomenal success, or the buzz in the office for days after, but the longer lasting employee engagement that was secured. Thomas Cook has kept its place ahead of its competitors as a great place to work.